Georges Kamanayo, one of the children who were taken to Belgium, said Mr Michel’s apology was the “ultimate recognition of an injustice”. “We have felt like third-rate Belgians for a long time. In the colony we were set apart from the white children. It was pure segregation. We tried to immerse ourselves in Belgium, so we wouldn’t stand out.” he told daily newspaper De Standaard. “In Belgium we always react a little slower, other countries have preceded us,” he added. 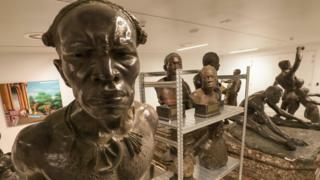 Last month, the UN’s Working Group of Experts on People of African Descent told Belgium to apologise for atrocities committed during its colonial era. Racial discrimination was “endemic” in Belgian institutions, the UN experts said in a report. “The root causes of present day human rights violations lie in the lack of recognition of the true scope of violence and injustice of colonisation,” their report added. However, in parliament he said his apology to the kidnapped mixed-race children must also strengthen efforts to fight all forms of discrimination and racism in the country.